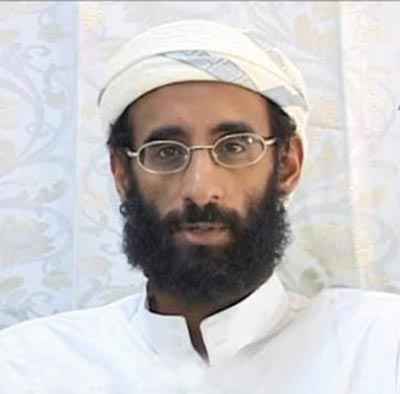 Yesterday, the Obama administration announced that Anwar al-Awlaki, an American-born cleric and Al-Qaeda recruiter was assassinated during a US missile attack. The news has revived the significant controversy surrounding Obama’s targeted killings policy which has been used to kill senior al-Qaeda operatives including Ossama bin Laden in May this year. One report claims that the Pentagon is responsible for the targeted killing of between 1,000 to 2,000 militants since Obama took office. The Obama administration faces a legal dilemma both back home and internationally. The term “Targeted killing” while not defined under international law, has come under the limelight after Israel publicly declared its right to use it against alleged Palestinian terrorists. In the US, this policy was advocated in the wake of the 9/11 attacks when Congress passed the Authorization for the Use of Military Force (AUMF) statute in 2001. The AUMF allowed for targeted killing as part of counter-terrorism operations in Afghanistan and further classified terrorism as an act of war, rather than a crime, thereby freeing government from any domestic constitutional constraints. This would allow the US to employ targeted killings in areas where it is engaged in conflict such as Afghanistan. In this setting military actions would be governed a different set of laws, namely the laws of war. What makes the killing of al-Awkali different is that he was targeted in Yemen where the US is not engaged in military operations. Under these circumstances al-Awkali, a US citizen, would be protected by the US Constitution and international human rights law. The argument from the White House is that al-Qaeda operatives are “non-state actors” that operate in loose networks across the globe. But if the US is allowed to sanction its use of targeted killings in areas detached from areas of conflict, it gets a free hand to target anyone, anywhere, anytime with zero accountability. This is especially true when terms such as “terrorism” remain legally and academically obscure. Another question that surfaced is why if the US considers al-Awlaki to have played a significant role in al-Qaeda operations, didn’t they indict him like they indicted Bin Laden? One can assume it was going to be to difficult to prove. But, under these circumstances should the US be allowed to disregard legal procedures with its targeted killings of terrorists? Two other arguments provided by proponents are 1) that targeted killings provides a low-cost alternative to the use of conventional forces; 2) the issue of proportionality and the reduction in collateral damage. Budgetary concerns aside, official Pakistani sources claim that at least seven hundred innocent civilians were killed during targeted operations in 2009 alone. The concept is not only legally and morally problematic but politically disastrous. The US’s disregard for international law represents a dangerous precedent and allows other countries to pursue similar strategies in areas where statehood is disputed. Moreover, by invading the sovereignty of Yemen at a time of popular uprising, the US is being disrespectful to the will of Yemenis trying to reclaim their country. A stark reminder of US support for the dictator Yemen is trying to topple. « Egypt and Turkey, an Axis against Democracy?